Welcome to another edition of IndiviJewels! March already! Can you believe it! Me neither, Weathers beginning to change, Bird’s are tweeting around the workshop. Hopefully the gloom of winter is about to depart us and bring us some long hot sunny days to bring a smile to our faces, No harm in closing your eyes and dreaming lol So its been a busy last couple of weeks, Managed to design and make a few pieces. One of those pieces is our new addition to the “Bird’s Nest” collection, Now I can’t tell you how many designs we have for this collection but its a few lets just say and finally got round to making one of them. So without further ado here are our Dangle Bird’s Nest earrings, Lovely and elegant and unique to us for you! 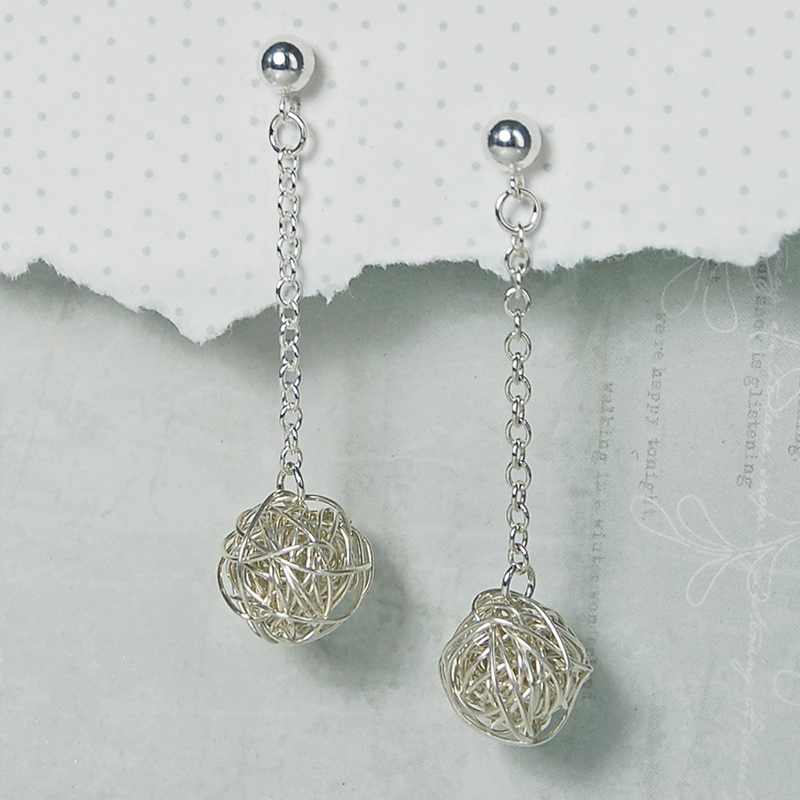 So to start with we used some 0.5 silver wire to hand wrap our “Bird’s Nest” ball, We then hung the nest from sterling silver chain which is attached to a sterling silver ball stud to keep with the flow of the design. I love this design, All the components really fit and give it a sleek and flowing look, Simple but very classy to which it can be used for any occasion and everyday wear. Just by writing this blog I have already thought of a couple more ideas just for this design, That’s what I love about designing one thing you see so many more variations of it, Best add those to the list and you might see them in a blog at some point in the future. OK so think that’s about it for today’s waffle. I shall return soon with another instalment that is IndiviJewels, So be different, Don’t be like the rest, Be an IndiviJewel, Just like us! I bid you adieu, Yes the old language skills are coming on a bundle. This entry was posted on Monday, March 2nd, 2015 at 2:31 pm	and is filed under Handmade Jewellery, New Creations, Silver Jewellery.